Los Firuletes are a Tango duo of Bandoneon (Art Bailey) and Guitar (Amy Bowles) who play classic Argentinian Tangos from the golden age of 1920s, 30s and 40s together with concert works and Tango Nuevos of Astor Piazzolla. 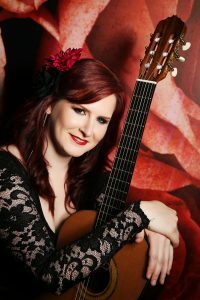 Amy is a professional classical Guitarist having recently completed a Masters of Music postgraduate course in classical Guitar performance at Royal Northern College of Music. 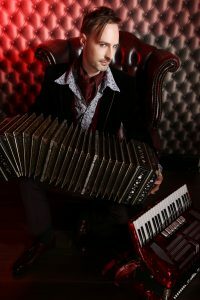 Art is a professional Bandoneon player and has been performing and teaching Accordion, Piano and Electric Guitar for 15 years. Together Amy and Art have been performing as Los Firuletes since 2015 and have recently completed a run of professional engagements for Manchester International Festival and Didsbury Arts festival. In May 2017 they performed Piazzolla's double concerto at Royal Northern College of music with a small string orchestra in a very well attended public concert. In 2017 Los Firuletes began working with the charity Music in Hospitals and Care and providing outreach concerts for vulnerable people in care homes and hospitals.